Invite the Huntsmen, dwarfs...but maybe not your evil stepmother. 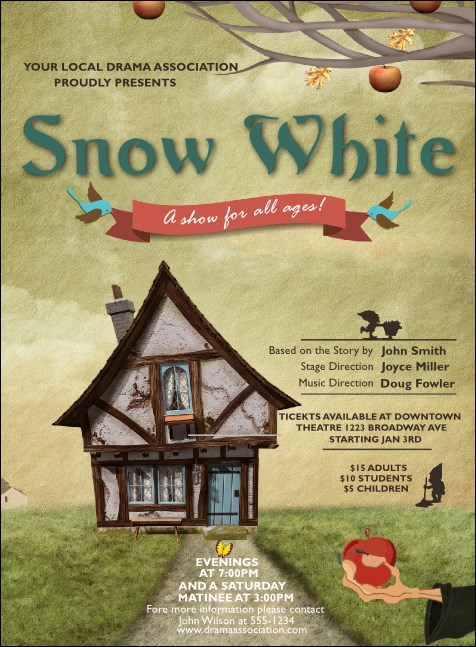 Send out the Snow White Invitation before your big show. Sweet bluebirds hold a banner above a quaint cottage at the end of a path. Pair with coordinating tickets, flyers, and posters in a Matching Event Kit. RSVP to your favorite fairy tale with the right invitation from TicketPrinting.com.